Flaunt a deep, gorgeous, lasting tan -- faster! 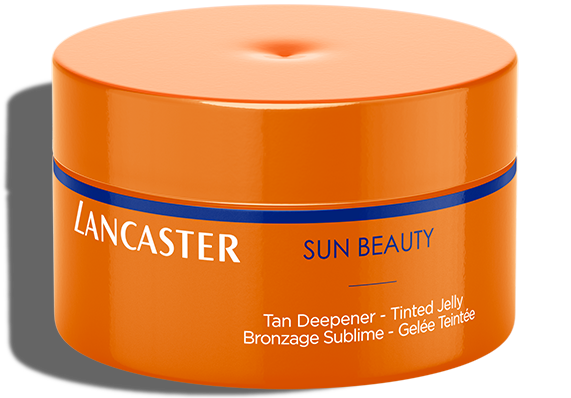 Lancaster's Sun Beauty Fast Tan Optimizer Satin Dry Oil SPF30 delivers the benefits of an oil without the greasy feel. This formula leaves your skin satin-soft while offering the broadest protection from sun exposure with our exclusive Full Light Technology. Lancaster's Tan Activator Complex helps your skin develop an even faster, deeper, flawless tan. Sun Beauty Fast Tan Optimizer Satin Dry Oil SPF30 is specially developed for medium to dark skin, for a luminous, gorgeous and lasting tan. Ideal for skin that tans gradually and sometimes burns. Sun Beauty Fast Tan Optimizer Satin Dry Oil SPF30 provides broad spectrum sun protection, while helping you obtain a golden tan that is even, luminous and long lasting. Water-resistant, it penetrates instantly and leaves skin satiny-soft. Shake well before use. Apply Sun Beauty Fast Tan Optimizer Satin Dry Oil SPF30 all over body before sun exposure. Spread the product evenly with yours hands.